This entry was posted in Uncategorized on June 12, 2015 by wordbutler. If you’re a business owner of any size, then you’ve almost certainly been told at some stage that you should be blogging. But it’s not always so easy in practise. When you’re running your own business there are a million other things to do and writing 300 words on the 5 best ways to chop an onion, meet your soulmate or get fit for summer seems like the least important of them. But blogging, done well, really does work, and it’s well worth spending the time to create something that will engage your customers, increase traffic to your site and assert your authority. I’ve scoured the country and found 5 Welsh blogs that do just that. For each one I’ve given a brief analysis of what they do well – hopefully you’ll gain some tips that you can integrate into your own business blog. This does exactly what a good blog should – adds value for the customer with informative and genuinely interesting posts. The link with the business is obvious, and the detailed diagrams of muscular structures and tips on how to taper, stretch and activate your glutes really give this business the air of industry experts. There’s a very mild call to action at the end of each post, but it doesn’t feel like you’ve been duped into reading just to have this shoved in your face. Looking through it there are just a limited number of posts, and I could definitely read more of this, so my only complaint would be that it needs to update more regularly. Other than that, an excellent blog. 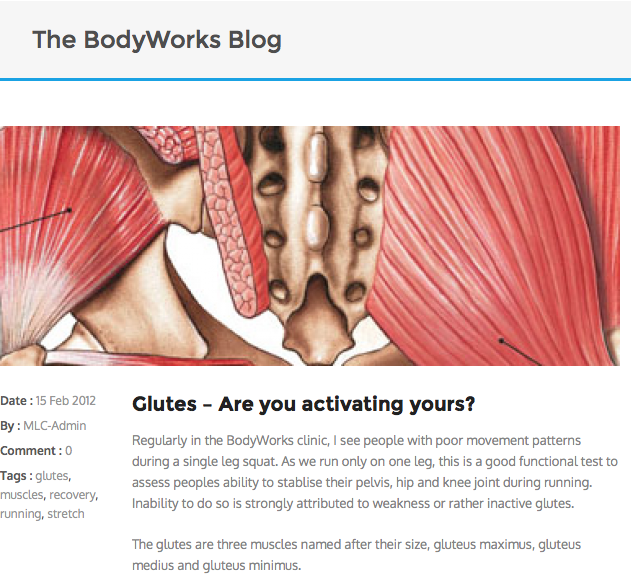 This is a great looking and really engaging blog that pretty much ticks all the boxes. You’ve only got to look at the range of posts on the first page, which, at the time of writing, range from ideas for family days out, to informative pieces on ‘The Folklore of Pembrokeshire Springs’ to see that some serious effort goes into this. 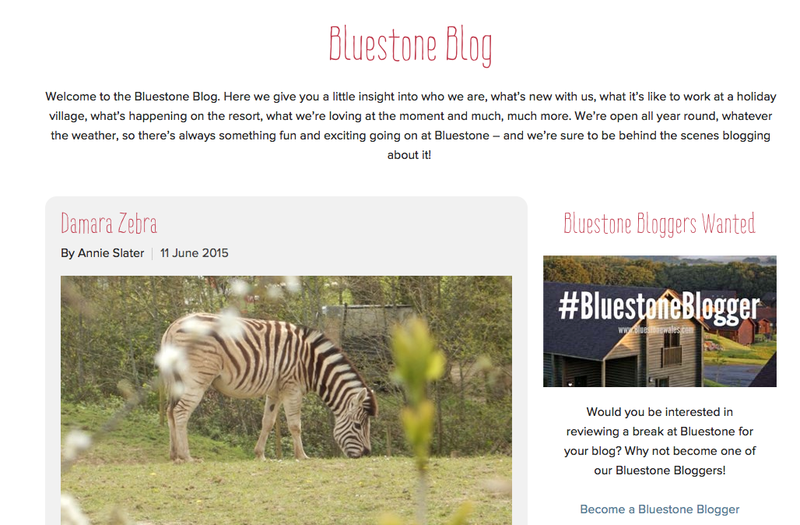 If you were taking a holiday at Bluestone, you’d find a host of useful information here. If you were thinking of taking a holiday, the wealth of information on the blog might just tip the balance. Once again the blog is adding value to the product, but has found a way to do so without harping on about how great their cottages are. (They leave that to their website). Another idea I really like here is that they encourage people who have stayed at Bluestone to write blogs for them. Crowdsourcing your blog in this way might be a really good option if you’re looking to put a lot of regular posts up. Finally, the tags at the side help you sort through the posts if you’re looking for a specific topic such as beaches, or food and drink. If you’re blog is quite expansive and covers a wide range of topics, allowing readers to navigate like this might be useful. 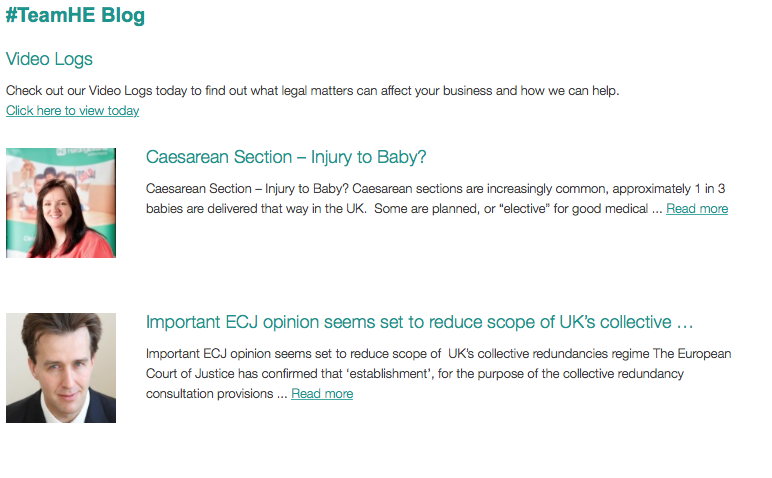 Serious businesses like solicitors can keep blogs too. 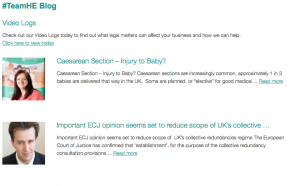 This is a really smart blog as it firmly establishes the company as industry experts, taking current issues in the law and explaining them in terms that their clients will understand. People often worry that keeping a blog will somehow reduce the gravitas of their company, but here the tone is appropriately professional. There are no ‘click bait’ headlines and the firm aren’t asking you to splash their posts all over social media. Now, not everyone has time in their day to read up on the new nuances in the law around tenancy deposits; in fact you’re only likely to click on this if it’s a subject that directly relates to you. But regular posts keep you in your clients’ minds. Very often the headline is all someone will read, but that doesn’t mean the blog is not worth writing. As long as this headline clearly communicates the area you are ‘expert’ on, a potential client is far more likely to contact you in the future if they have an issue in this area. It’s a really nice touch to have the author’s picture by the post – this adds a personal note to the blog. Once again, there is a light call to action at the bottom of the post, but it doesn’t feel too hard sell. As a small business with so many other things to do (they can go SUPing any time they like for a start!) SUP Gower are the kind of business that could very easily fall into the trap of starting a blog but never updating it. Not so, and they keep a really good mix of news, reviews and information, very often at a rate of around one post a week. Some posts pre-empt customers’ questions by giving a detailed comparisons and reviews of specialist equipment, while others give a more newsy approach, showing readers what’s been going on in the shop. I really like this approach for small businesses – done the right way it can help create a community feel and a brand that people want to be part of. 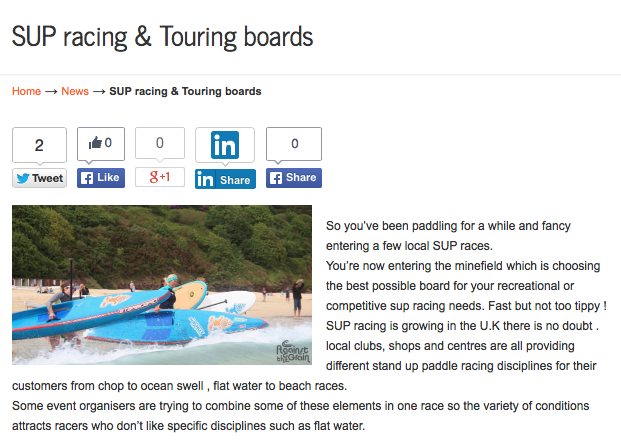 It might not look as flash as some of the other blogs in this post, but SUP Gower get all the important things right, definitely adding customer value to their business and enhancing their brand. This is a really clever blog, and does pretty much everything right. It looks great, and once again achieves a great balance of authority and interest. You can tell that some serious effort has gone into posts like the hugely shareable ‘A History of a Sunday Roast’, which feature a beautiful pictochart and some genuinely interesting facts. It’s not too long either, which means you can easily digest it (excuse the pun) in a 3-minute social media break and leave with some interesting facts you can reel out next time you sit down for a leg of lamb. Now where did you hear these interesting facts again…? I also love the post about ‘What to look for in a caterer’. Instead of making the mistake that many businesses would make by choosing to go on about how great their own services are, they just demonstrate a thorough knowledge of everything a great caterer should do and leave us to draw our own conclusions. While they’re all different, each of the above blogs have a few things in common which are worth bearing in mind when writing your own. There’s no hard sell. People will catch on very quickly if the twist in every post is your product or service saving the day. They add value. 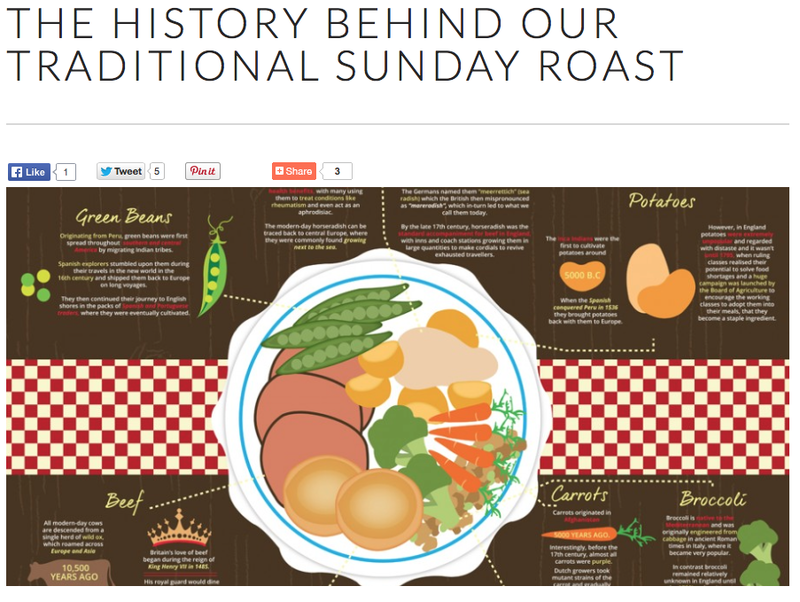 Each blog, in its own way, gives information that would be directly relevant and useful to their target market. For free. They establish the company as an authority. They are well written and genuinely interesting. I hope this has given you a few tips on how to go about making your own business blog work for you. Finally, here’s my gentle call to action. If you can see the benefits of blogging for your business but genuinely don’t have time or simply want help with a bit of content strategy and execution, I’d love to help.